This is yet another in a long line of intentionally ill-timed “weirdo” elections, intended to depress voter turnout. 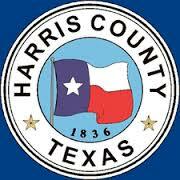 I’m sure Harris County employees, and Harris County contractors are all going to be heavily encouraged to vote for this, and to enlist their families and others they know to vote. Meanwhile, John Q. Public who doesn’t really follow politics and elections, has zero idea what’s going on and doesn’t vote. This is exactly how school districts get their bonds passed. Do we really think the average taxpayer who is struggling to pay his property tax is really that excited about semi-pro quality high school football stadiums? Since the corrupt MF’er who runs COH isn’t asking for it, I’ll vote for it.